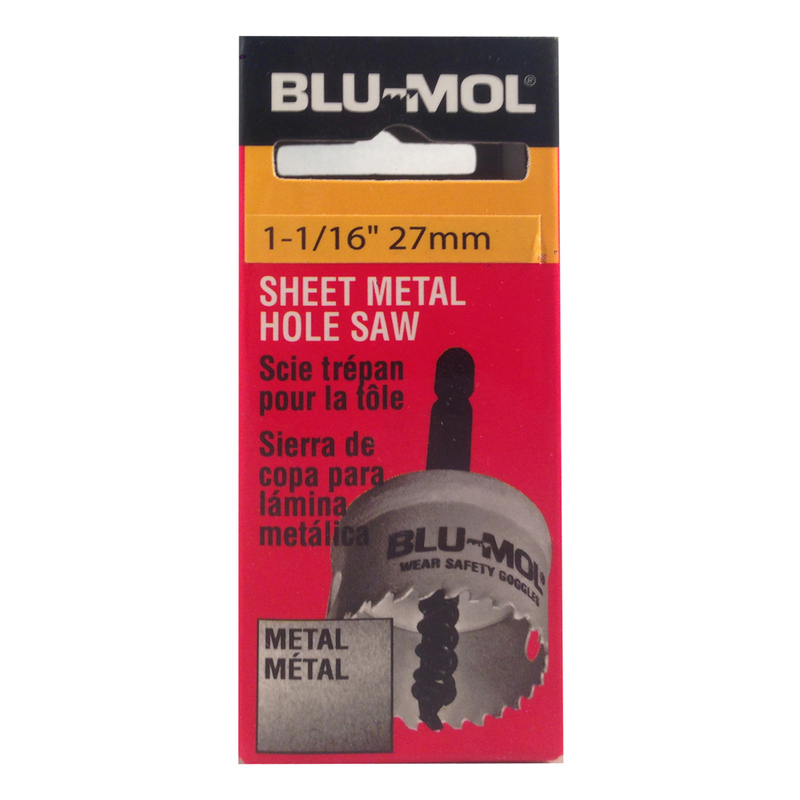 Blu-Mol® Sheet Metal Hole Saws are ideal for the electrical and plumbing tradesman, and in construction, aircraft, maintenance and automotive applications. These hole saws have a thin 0.02″ (0.5 mm) sidewall blade thickness, allowing for faster cutting and longer battery life. Ideal for chargeable impact drivers. Use in thin applications of mild steel, brass, aluminum, stainless steel or plastic. Packaged in individual boxes. Special 8TPI tooth design for smooth and fast cutting in sheet metal. Lightweight blades maximize the use of chargeable impact drivers by using a reduced motor and operation load. Safety collar stop helps prevent cutting too deep. 5/32″ pilot drill for easy center locating and quicker cutting penetration. Use in thin applications of mild steel, brass, aluminum, stainless steel or plastic. 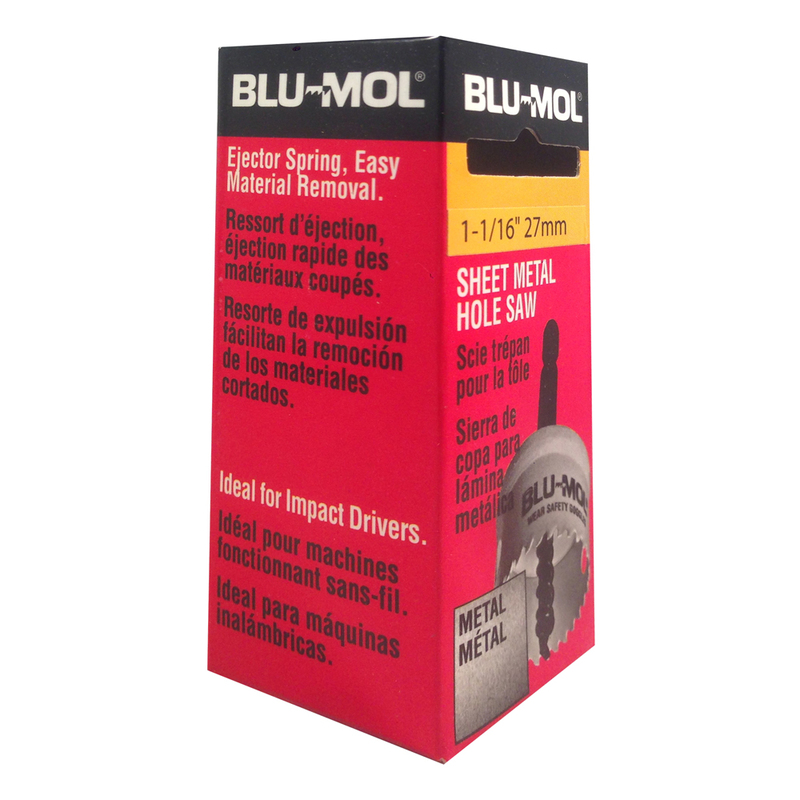 The Blu-Mol® brand of power tool accessories represents the contractor’s choice for a workhorse product line. 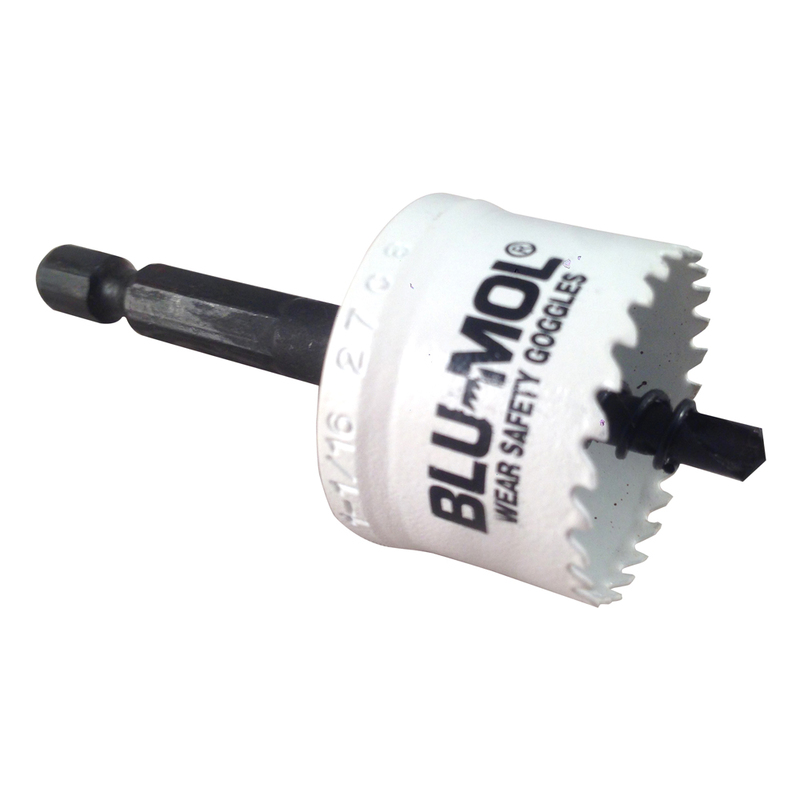 Combining value and product integrity, Blu-Mol accessories are designed and built to provide aggressive cutting and boring and are available in a variety of product lines.